All flash drives contain .pdf files. 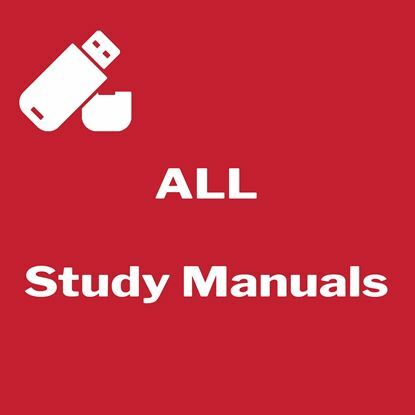 This flash drive contains .pdf copies of all Study Manuals. Flash drive containing PDF copy of the ECS Study Manual. Flash drive containing a PDF copy of the CC Study Manual.